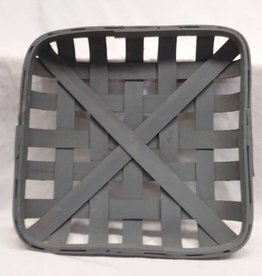 1995, A small vegetable basket by Longaberger. 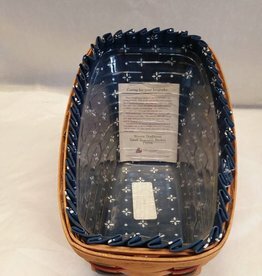 Includes a blue "snowflake" design liner and a plastic protective liner. 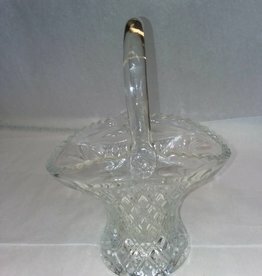 Shaped similar to a sleigh. 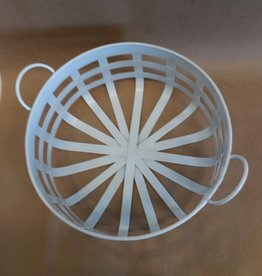 9.75" x 6.5" x 7"
Small Vegetable Longaberger Basket w/Liner. 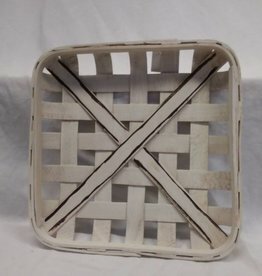 9.75" x6.5" x7"
Gray Square Tobacco Basket, Reproduction, 15.5"x15.5"
E.1900's. 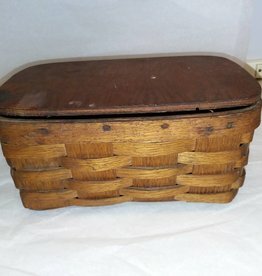 Small oak weave basket w/wooden hinged top. 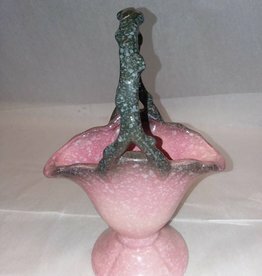 8"x5"x4"
1980's. 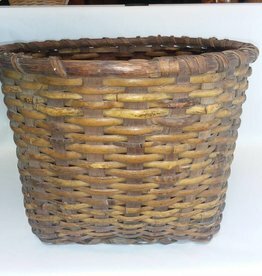 Oval sweetgrass basket w/cover. 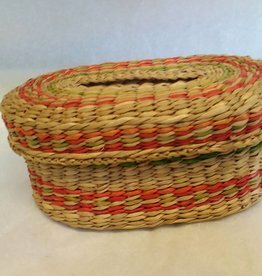 Orange & green woven into tan. 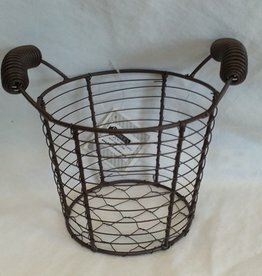 6.25" x 4.25" x 2.75"
E.1900's, Antique picking basket for apples, pears, etcetera, 2 handle cut-outs, 14x10". Very nice condition. 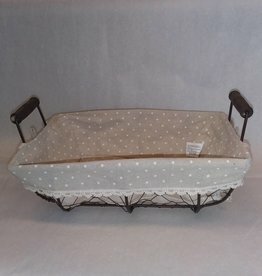 Large mesh Basket w/Wood Handles & Polka Dot Fabric. 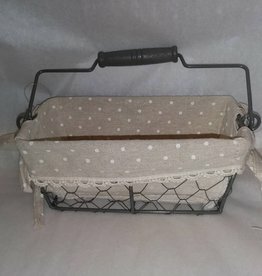 13"x9"x4.5"
Rectangular Wire basket covered in polka dot cloth, single bale handle.7.5" x 4" x 3.25"
White Square Tobacco Basket, 15.5"x15.5"
Round Tin White Basket, 10"